.. the beheading video would not be a problem ..
.. and that is the problem . It could end up getting people killed , eventually …. lots of them , and here in the U.S. …. .. End the war on your terms , not on theirs . Deliver the coup de grace , and pound them into dust …. .. if his intel report is right , and it usually is , Bibi is getting ready for battle ..
.. worse than appeasement ..
.. it is effective surrender and pandering to the mullahs in Qum ..
.. do the ObamaCraps really want a nuclear arms race in the Middle East ? Well , that is exactly what is going to happen ..
.. why not do it much closer to home , say , on our southern border ..
.. You had better believe that this request is going to go to Congress . It is an important appropriation . You are taking about some serious scratch , well above these countries ‘ annual aid request , espc. Egypt ‘ s . Tunisia right now barely gets anything at all . Also , the ObamaCraps like to play games with the aid that goes to Israel in order to swend a political message to Bib . So doing this means they are likely to put that aside [for once] for the greater good of battling ISIL ..
.. Israel can help fund this on its own . Egypt can help , but even it needs help . The Tunisians need a ton of help .. Also , all three countries are seafaring nations , so that also has to be considered , as well ..
.. it is even to the point that Egypt and Israel are working together , and with Hamas . Yes , it is that bad ..
.. it seems that I.S.I.L. has been finding many of Hamas ‘ rocket stocks . They haven’t been letting them go to waste , though . A considerable number , no doubt , have been diverted to the war in Syria . Others have been relocated and put into storage . There are now others which have been fired at Israel , or have been positioned at Israel from I.S.I.L. territory in Syria . So they are not being wasted ..
.. and the ObamaCraps are entirely to blame for it ..
.. it is what you get for playing footsie with the Mullahs in Qum [and their lackeys in the Revolutinary Guards Corps] … the U.S. strategic position in the Middle East has been turned inside out and upside down by the moronic , idiotic , and incredibly immoral pursuit of a nuclear deal with Qum . This deal is one thing that will accomplish nothing ..
.. it is a good question ..
.. I.S.I.L. and the Syrian rebels are co – operating against the Syrian Government . The Syrian rebels are now [finally] getting substantial help from the U.S. , Saudi Arabia , and Turkey . So Bashar El – Assad ‘ s junta is beginning to totter , and is coming close to falling apart ..
.. so , what is the U.S. doing ? Not much , other than aiding the Syrian rebels . The problem is who wins , and what happens when they win . I.S.I.L. is far more likely to control Syria than the rebels , and then that will allow them to turn on the rebles and crush them ..
.. you might actually get it , and then some ..
.. it appears that Bashar el Assad and his minions will survive in Syria . People have been wishing for it for years . Now it appears to be happening — just not by the forces that the ObamaCraps wanted to have it happen ..
.. and even the U.S. is effectively powerless to stop it . .. why , do you ask ?? ..
.. lack of action ..
.. bad actors actions ..
.. most of all , the Syrians pay the price ..
.. from 300k to 500k dead ..
.. another 300k to 750k missing [possibily dead]..
.. you may ask , why ? ..
.. failure of follow – on force [Iraq] ..
.. it would have been a stabilizing force in Iraq , even if the #s are small . The force would make the Administration to pay attention and remain involved ..
.. the failure of POTUS to enforce his so – called ” red line ” has had severe consequences . The first , plus this , created a giant power vacuum in the Sunni areas of Iraq . It was one that what became I.S.I.L. was glad to fill ..
.. Hizbullah really has to wonder ? ..
.. that really is scary . I do not envy the intelligence services in trying to deal with this …. .. you would think that we would have considerable influence with an ally ..
.. not in Israel ..
.. then these terms will not reach that term . 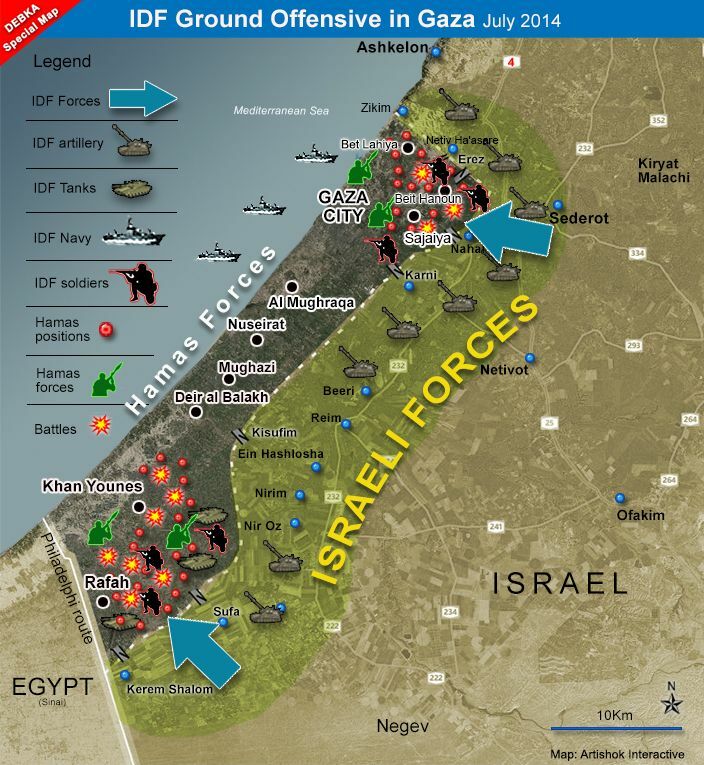 .. [link] to the intel report ..
.. Hamas will want to ” retain ” their ” toys . ” Their masters in Iran will want them to retain them . Iran will also work to resupply and restock them . Israel ‘ s intelligence network is second to none . 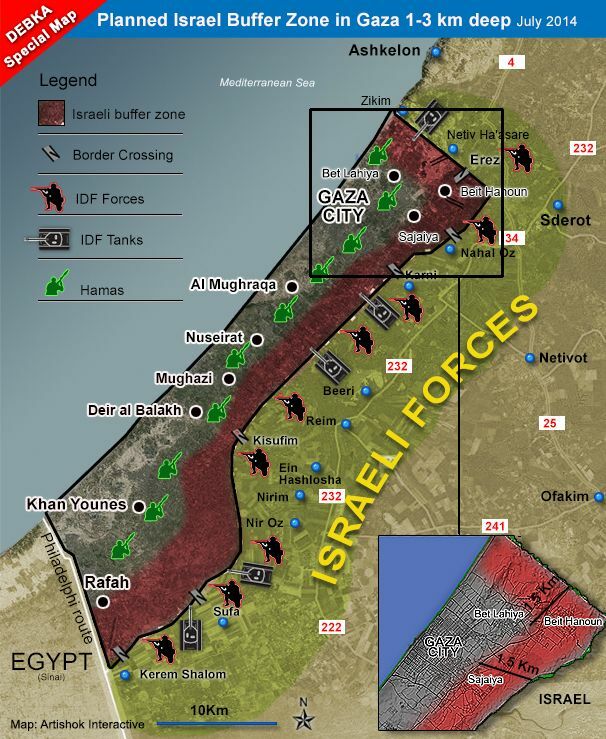 They will know if Hamas is cheating ..
.. to make it really effective , it should level Rafah ..
.. so , give it to them . .. before , when Israel wanted to settle with Hamas , the Israeli leadership saw value in maintaining the command – and – control of Hamas . not this time …. .. basically , : ..
.. [-] missiles — degrade Hamas ‘ ability to launch missiles and rockets ..
.. you wonder about the motivation of those folks streaming across our borders ?? .. [-] one is our lack of enforcement — D.A.C.A. , in particular …. .. [-] the looseness of the legal system — the legal notice is what they perceive as a ” permisos ” that allows them to stay , even if they are grossly mistaken ….